Wrinkles or premature aging of skin is very common in today’s lifestyle. Skin is affected by many other reasons apart from aging. Poor Nutrition is also amongst the major factors for wrinkles other than aging. Face wrinkles, fine lines or skin sagging are all associated with one getting older as a natural process. But are you worried because these wrinkles are more on your face compared to the women older than you. Then this is definitely not a good sign for your health as these wrinkles may be caused due to factors other than aging. 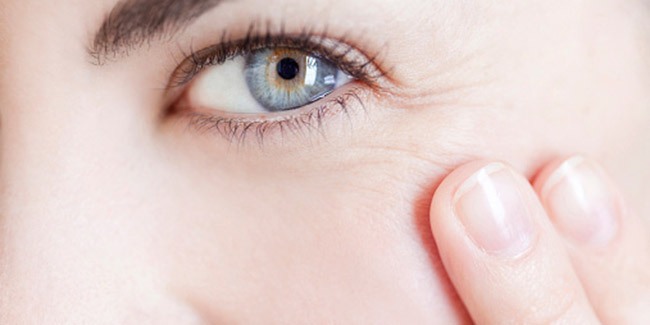 Ever wondered there could be other reasons than aging that make give wrinkles. Smoking is one of the worst factors to cause face wrinkles. Nicotine contained in the smoking narrows up your blood vessels which makes it harder to get blood, nutrients, and oxygen to the outermost layer of the skin. Smoke damages collagen and elastin fibres which are required for a healthy skin. Drinking is in itself harmful for health however it has effects on the skin tissues as well. Drinking excessively can have damaging effects which can results in discoloring of facial skin over time, poor facial muscle tone, and broken blood vessels or small spider veins which can cause facial skin wrinkles. It might sound strange, but consistent lack of sleep is another factor that causes face wrinkles and sagging skin. During the deep sleep, the purity gland in our brain secretes growth hormone during the night sleep. This hormone is essential in keeping various body tissue to renew including the facial skin tissues as well. Thus good night sleep is one of the best factors helping in wrinkle prevention. One cannot avoid stress or tensions in the day to day lifestyle however, we must understand that chronic stress and tension have visible effects on our face and cause signs of early aging. Prolonged emotional trauma or stress leads to increase in secretion of stress hormones such as cortisol and adrenaline. These hormones are detrimental to our skin health and cause it to sag and show signs of early maturity. Sun exposure is a major factor and is more important than our biological aging of skin tissues. In fact about 80% of skin aging process depends upon the amount of sunlight our skin is exposed to during our life time. Solar radiation accelerates destruction of collagen fibers in our skin through oxidation process. The elastic collagen fibers become rigid and fragile and their basic structure is destroyed – a phenomenon called solar elastosis. The accelerated oxidation processes also damage the genetic material in the skin cells and cause an abnormal division of cells. Thus the solar radiation also increases the risk of malignant and pre-malignant skin lesions and of course leads to the appearance of rough, thin and wrinkled skin. Beyond that, prolonged sun exposure damages the sebaceous glands and causes dry and sensitive skin. One of the most commonly misunderstood aging factors is the effect that food has on the body. There are foods that will help you retain a younger skin tissue and then there are foods that will make you look older than you are. Choosing a diet that is high in fats, sugars, processed foods, and low in fresh fruits and vegetables creates an internal environment that is anything but youth friendly. While eating right is no guarantee that your skin will age gracefully, eating poorly definitely causes face wrinkles. Several studies have suggested that too much sugar, especially if it's processed, can break down collagen. People with vitamin deficiencies can also expect to see wrinkles younger than those with a healthy, balanced diet. On the other hand, eating foods that are high in antioxidants can help combat free radicals.